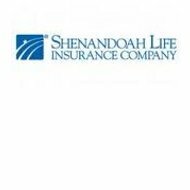 Shenandoah Life Insurance Company is a Virginia insurance provider originally incorporated in that state in 1914. Over the nearly 100 years of its history the company has provided insurance products for state residents in the areas of life insurance, health and dental insurance, and annuities. In February 2009, the Circuit Court for the city of Richmond, Virginia ordered the company into receivership and appointed the State Corporation Commission as receiver. If you are still searching for health insurance, look no further, enter your zip code in the box provided. We will show you quotes from active health insurance providers. According to state and federal laws, receivership is a tool courts can use to temporarily take control of a business in order to protect customers of that business from financial loss. In the case of insurance companies, receivership is often instituted when the company finds itself in a difficult financial position, which risks the positions of policyholders. During the period of receivership, the insurance company can transact no more business until it submits a plan to get its financial house in order. Transacting new business is largely left up to the court as has been demonstrated by Shenandoah Life’s receivership. The court saw fit to put a moratorium on all claims payments but made some exceptions for four different types of claims. This was done in order to protect policyholders from having to pay claims out of pocket. During the receivership period, Shenandoah Life was not allowed to write any new policies or cancel existing ones. Until the acquisition of Shenandoah Life is complete, most claims have been frozen by the court in order to allow Shenandoah to complete its restructuring. Claims will be allowed once the acquisition is complete and the new owner is prepared to begin payouts. As previously mentioned there are some exceptions to the claims moratorium. If you believe your case qualifies under the exemption, you may file a claim with the receiver. Once the acquisition is complete, it is expected that claims service will be restored in a way that is somewhat similar to what it was before receivership. Life insurance and annuity claims would be made directly to the company while health insurance claims would be processed according to the previous guidelines. This may change depending on whether or not United Prosperity Life continues to use the same business model for the health insurance division. Despite being a regional insurance provider, it does appear that Shenandoah Life utilizes local agents throughout the state. Their website contains a link for current agents to login and access the company’s agent tools. However, there is no link for helping customers locate a local agent. This is most likely because the company has been prohibited from transacting new basis during the term of receivership. Perhaps when the acquisition is complete customers will once again be able to find an agent online. There doesn’t seem to be any indication that Shenandoah Life’s financial difficulties have been the result of poor customer service. However, because of the receivership we were unable to get any detailed information about how their customer service works. The most we can say at this time is that their website continues to allow policyholders to log on to their online accounts for policy management and making payments. The company website provides a link to customer service to the extent that individuals can fill out an online form that will be reviewed by customer service representative. If need be, representative will contact the customer to answer questions or try to resolve any issues. Policyholders who have endured the long process of receivership over the course of the last several years need wait only a little while longer for the acquisition to be completed. While the process has been more than inconvenient for many policyholders, the good news is that their financial investment has been protected and the company will reemerge. Hopefully, Shenandoah Life’s new owners can bring the company out of receivership and into a bright financial future. Search for health insurance now by entering your zip code into the box provided.